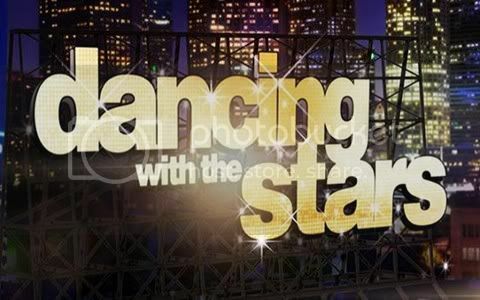 Quick Take: Dancing With the Stars 14, "Week 2: Results"
Review: Dancing With the Stars 14, "Week 2: Results"
(S1403) The first results show of this Dancing With the Stars season opened with a high-energy group dance from the twelve professional dancers and the Dance Troupe. As for performances, Sugarland and Matt Nathanson sang their duet, "Run," up first and then Sugarland returned to the stage later in the show to perform "Hey." I think there was no coincidence that Sugarland was one of the first performers this season as Jennifer Nettles will be on the ABC singing competition Duets which premieres this summer. Also on Duets will be Lionel Richie, Kelly Clarkson and Robin Thicke, so I wonder if will be seeing them grace the Dancing With the Stars stage before the end of the season? The final three competitors who were awaiting their fate at the end of the show were Roshon, Gavin, and Martina. Roshon was quickly saved as I think he was just used as a ploy for ratings to have people watch the results show to the end to see if there would be an upset on the first episode. It was noted that Gavin and Martina were actually the bottom two when it came to votes and the judges score. In the end it was Martina who was the first competitor eliminated from this season of Dancing With the Stars. I must say she took it well, she commented that she looks forward to returning for the finale to dance the jive once again.